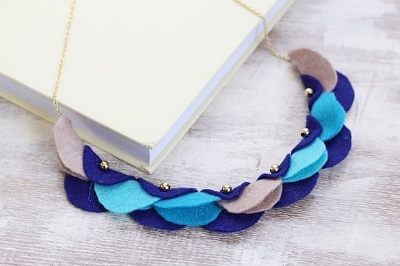 Last year Stephanie posted a tutorial on her blog Henry Happened on how to make this pretty Felt Garland Necklace. Imagine dressing up a plain t-shirt with a statement necklace like this. Check it out.